Wow, it really has been 40 years! 40 years is a lifetime. During the last 4 decades we have enjoyed and celebrated some great times as well as some challenging ones. We were blessed to work with amazing clients, tenants and consultants in providing our services for their building needs for the last 4 decades. For your support and the trust that you have placed on us, WE THANK YOU. We would not be here if it wasn’t for you. We have been very fortunate to have such dedicated, loyal, hard working and knowledgeable employees work with us. To us they are not just employees, but rather members of the family. To our past and present employees, WE THANK YOU for working so diligently to assure that the goals and needs of our clients were always met or surpassed. We would not have achieved what we have if it wasn’t for your hard work and dedication. And finally to all of our friends, colleagues and to anyone that has contributed to our success in any way; by way of referrals, giving advice or just sharing ideas with us, WE THANK YOU. Your support and advice was instrumental to our success. 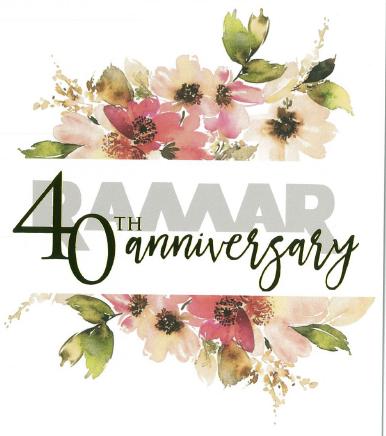 With the second generation taking the reins, I am positive and assure all of you that Ramar will be here 40 years from now providing the service, quality, support and trust that you have been accustomed to. Welcome to the next 40 years!